According to media reports sniper rifles being used by terrorists are those stolen by Taliban from US forces in Afghanistan and then handed over to ISI. These sniper rifles (same as used by NATO forces against Taliban in Afghanistan) have been passed them on to Jaish-e-Mohammed (JeM) terrorists. JeM has been given a boost after Imran Khan became Prime Minister of Pakistan. Our Army Chief has said it may be premature to conclude yet that sniper squads of Pakistan-sponsored terror organizations have entered J&K and targeted killings of security personnel by standoff fire are their handiwork. This has also been endorsed by some, however, according to an IB official, JeM, wanting to introduce an element of surprise in erstwhile routine attacks, has formed sniper teams comprising four terrorists who move in buddy pairs. Trained by ISI, these sniper teams are equipped with M-4 carbines with telescope that can hit targets up to 500-600 metres with precision. Terrorists are also equipped with night vision devices. 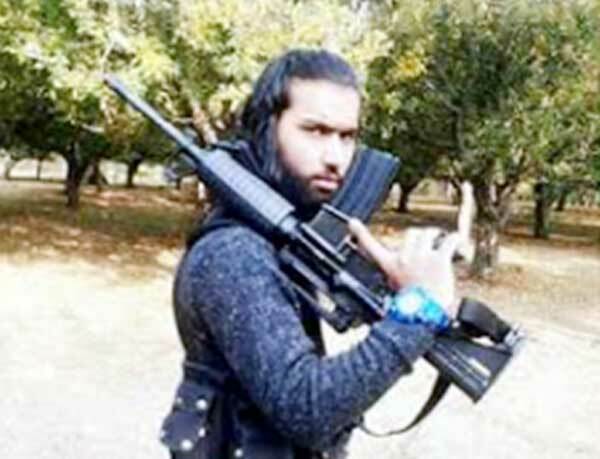 In April 2018, Hizbul Mujahideen terrorist Samir Ahmad Bhat killed in an encounter was found holding a NATO-operated M4 carbine. His photograph posted on internet also showed him holding the M4 carbine albeit without a telescope. The story about Taliban stealing M4 sniper carbines from US forces in Afghanistan appears fake propaganda. If indeed these were stolen by Taliban, it could be by attacking logistics convoys in support of US-NATO forces moving by land through Pakistan. Besides, some containers meant for US-NATO forces offloaded in Karachi also go missing with the stuff sold in open market, despite US paying large sums to Pakistan for safe passage of supplies through Pakistan. So, ISI doesn’t have to depend on Taliban to supply stolen M4 carbines. On the contrary the ISI maybe arming Taliban with these as part of overall equipping policy. More significantly, the SSG of Pakistan also uses the M4 carbines. Besides, M4 carbine is available in open market online (https://www.gunbroker.com/All/search?Keywords=M4%20Carbine), as also is a telescope for it (https://www.aliexpress.com/w/wholesale-m4-rifle-scope.html). Why our governmental defence-industrial entities can’t get such weapons and develop own through reverse engineering is a separate issue, but it can be safely assumed that both HM and JeM would have sniper rifles – in all probability the telescope mounted M4 carbine. Whether ‘sniper teams’ have been formed or not is a matter of conjecture, because the M4 carbine equipped terrorists will at least be moving in buddy pair, of which the better shot will probably be armed with the sniper weapon, not both. The border action teams (BAT) of Pakistan have mix of Pakistani regulars/SSG and terrorists. Whether we want to acknowledge or not, SSG personnel have been operating in J&K, the usual cover being that they are retired. A SSG havaldar caught in Kupwara in 1995 had the same excuse. We are hesitant to admit this phenomenon because we don’t have any such concept for Special Forces beyond direct raids in close proximity of the border. If the sniper equipped terrorists have invested South Kashmir (where there are more terrorist supporters), the possibility of SSG personnel manning sniper weapons should not be discounted, which would only be a step ahead of the BAT mix of regulars and terrorists. After all, in Afghanistan not only is covert Pakistani regulars in major way, Pakistani army officers have also been providing leadership to Taliban, as has been proved in certain instances. The fact remains that terrorists in J&K now do have sniper weapons. A number of sniper attacks by terrorists in J&K have been reported to-date. The first sniper attack by JeM reportedly took place at Newa in Pulwama on September 18 when a CRPF jawan was injured by sniper fire. 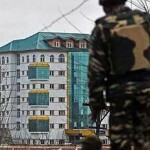 Thereafter, in more sniper attacks a Sashastra Seema Bal (SSB) policeman and an Army jawan were killed in Tral, and a Central Industrial Security Force (CISF) ASI was killed in Nowgam, on outskirts of Srinagar. In all these instances, terrorists targeted sentries not only inside camps but even inside a sentry post. Locating themselves on nearby high ground, terrorist-snipers picked up light from mobiles when jawans were talking to someone. This has raised concerns in the security establishment and countermeasures are being put in place, including raising of security walls, which may not be possible in all cases. Recall the JeM terrorists attack at the Arm base in Uri during 2016, where the perimeter only had a cattle fence, forget any security wall. While, snipers are regular feature along the border and the LoC, their emergence in the hinterland does pose new challenges. 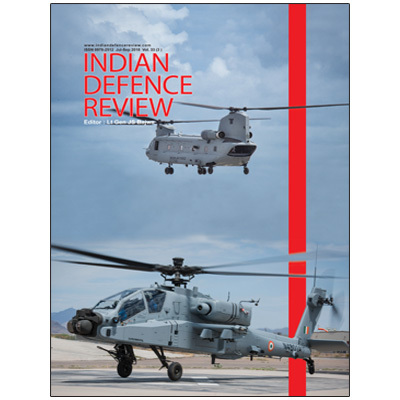 It is not only the sentries in camps / installations that can be targeted, but the road opening parties (ROP) and patrols during halts are equally vulnerable if adjoin high ground have not been secured and counter ambush drill including by fire are lax. Therefore, standing operating procedures may need addition and strict enforcement. We should be quite certain that with the perceived ‘softening’ of China’s anti-India stance due Wuhan and the US-China trade war remains misnomer. The China-Pakistan bus service and China’s continued protection of 26/11 mastermind Masood Azhar at the UN are just two proofs of this. Intelligence reports had indicated last year that terrorists in J&K are using steel core AK-47 rifle bullets that can penetrate security forces bunkers instead of normal lead core bullets because of Chinese technology passed on to Pakistan. This was proved after ballistic analysis of bullets fired during terror attack on district police lines of Pulwama, South Kashmir in August 2018. In July 2018, reports emerged that the Xian Institute of Optics and Precision Mechanics at the Chinese Academy of Science in Shaanxi Province of China had developed the ZKZM-500 laser gun that can destroy a target 800 meters away by charring skin and human tissue, the frequency of the laser making it invisible to the human eye. It is noiseless and is powered by a rechargeable lithium battery with capability to shoot more than 1,000 shots per charge. Reports said that the ZKZM-500 laser gun was ready for mass production and the first units are likely to be given to anti-terrorism squads in the People’s Armed Police. Videos of this portable laser gun were posted on the internet. The advantage of such weapon is that it is impossible to decipher where the attack came from. Aside from targeting individuals they would be highly effective against fuel tanks, fuel carrying vehicles on the move and de-capacitating radars and mobile towers. With China arming its Police with theses, in all probability these will be passed on to Pakistan. 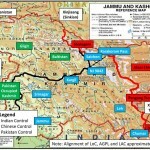 Therefore, their employment against India at least on the border/LoC should not be discounted for the present. The ZKZM-500 laser guns may not find their way into the hinterland in J&K in present context but snipers with longer ranges are likely. We need to be mentally prepared for escalation of terrorism in J&K given our defensive policies at the national level. 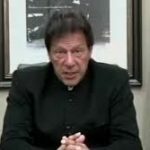 Imran Khan’s chest thumping of “Naya Pakistan” has subsided with a whimper in submitting to the radicals in face of the Asia Bibi issue. There was never any doubt he is stooge of the Pakistani army but that he would do an about face so soon was somewhat surprising. Perhaps his actions were affected by news reports that Mommy Beijing may prefer Hafiz Saeed as Pakistan’s Prime Minister. But with his mask now off and news reports of Lashkar-e-Taiba (LeT) establishing base in Nepal, perhaps on Xi Jinping’s advice, we need to keep our guard up keeping all actions open. Encounter at Pampore: Where was the problem?